Tom Appleton and his son Kyle run Appleton Lawncare & Landscape. 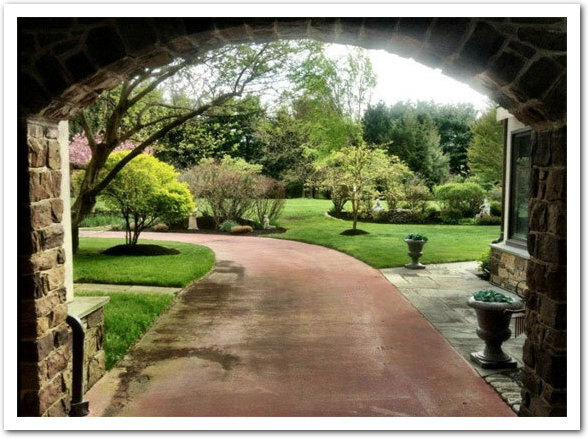 Serving New Hope, Doylestown, Solebury and Bucks County PA since 2000. A trusted, local family business that you can count on! We do it all! 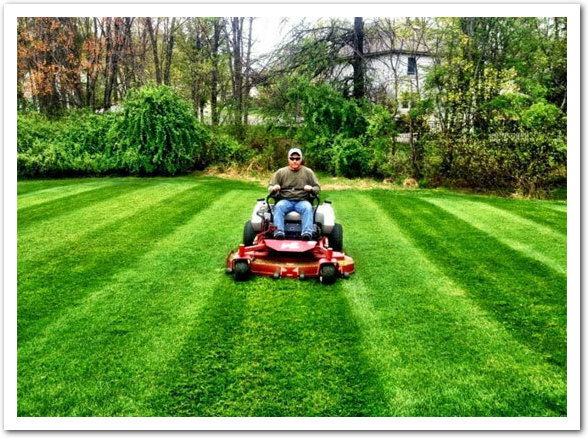 Lawn Care Services, Mowing and Trimming, Lime Pellets, Grub Control, Insect Control: tick, flea, ant (recommended for this area), Weed Control: May & September (one charge per season), Mulching, Bed Edging, Seeding Lawns, Aeration, Tree & Shrub Planting, Tree & Shrub Moving, Bed and Garden Design, Spring and Fall Cleanup, Landscaping, Lawn Care, Tree Trimming, Pruning, and more! If you have a vision, we can help you make it a reality. Or let us plan out your landscaping. 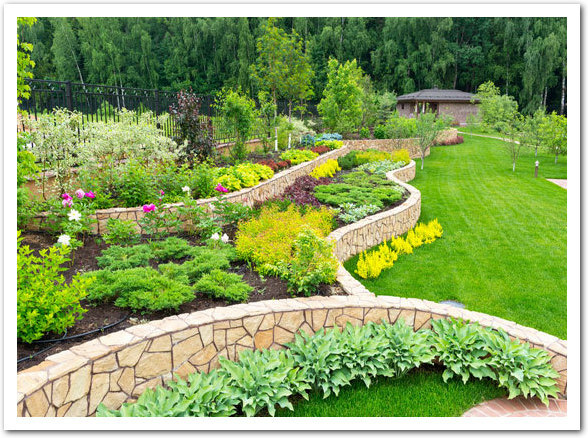 Our years of experience in the area have taught us what plants do well here, and we love to create beautiful landscapes. 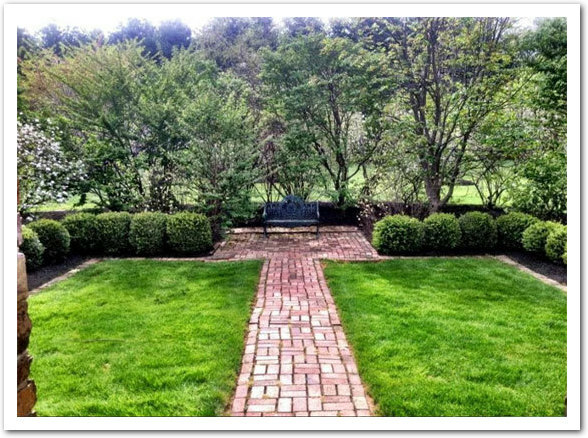 Bucks County is rich in heritage and beauty, and we do our best to keep it green! 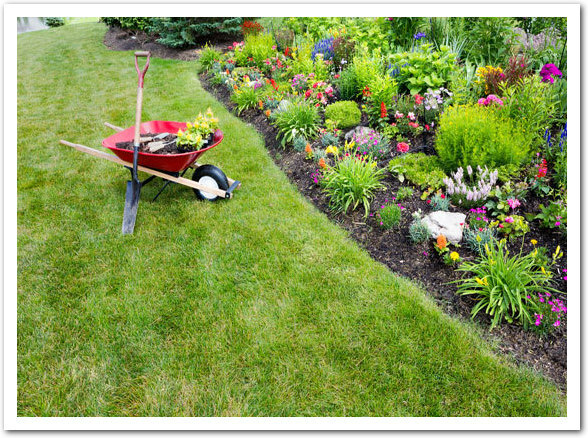 Mulch is used to retain soil moisture, regulate soil temperature, suppress weed growth, and for aesthetics. 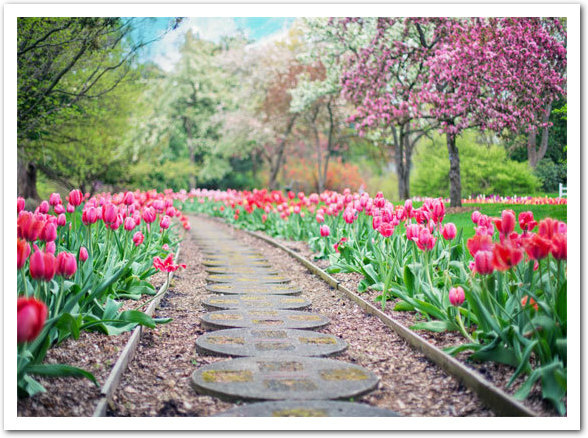 It is applied to the soil surface, around trees, paths, flower beds, to prevent soil erosion on slopes, and in production areas for flower and vegetable crops. Mulch layers are normally two inches or more deep when applied. 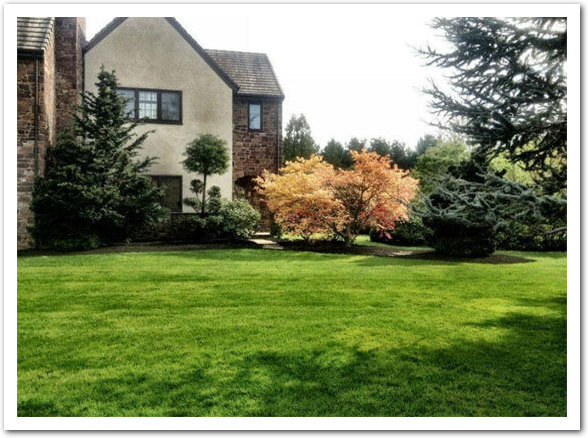 We take pride in making your lawn look its best. 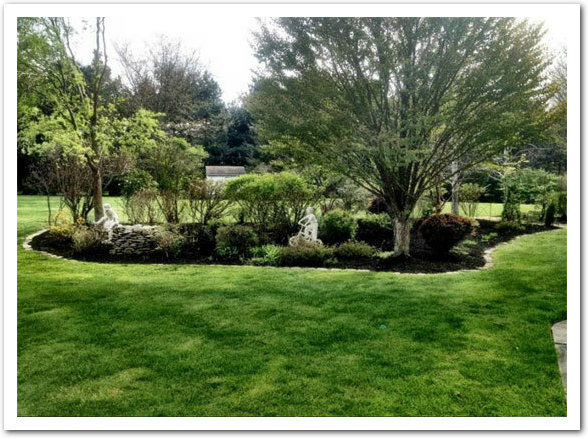 From planting flowers and shrubs to keeping your lawn green and sharp, we are up to the job.